As both night and daytime temperatures continue to cool, the garden reveals yet another of its features; an abundance of fall fruit and berries. This seems to have been a wonderful year for fruit set on many of the trees and shrubs throughout the property. Perhaps we have the hard-working resident honey bees to thank for ensuring ample pollination earlier in the season as they constantly visited flower after flower in search of pollen and nectar. We should also be grateful for the many other species of bees and assorted pollinators that have also been enjoying the gardens. If you like the colour orange, be sure to have a close look at the magnolias throughout the 17 themed gardens. 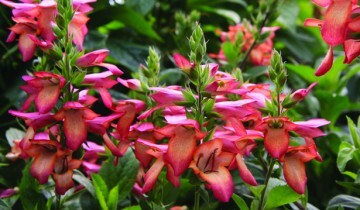 They have had a great growing season and are bearing a rich bounty of brightly coloured seeds and rather unusual pods. 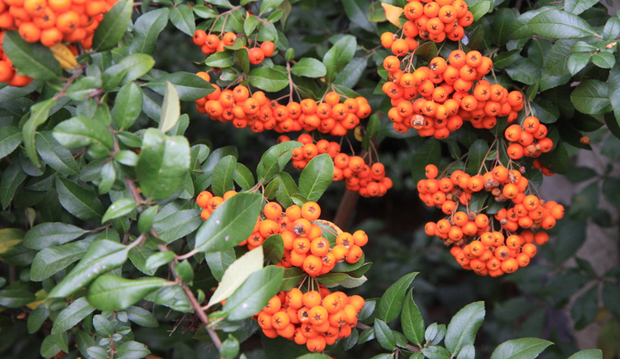 The thorny upright Firethorn, Pyracantha shrubs on the west side of the building are loaded with orange berries, more so than I have ever seen in my four years at the TBG. 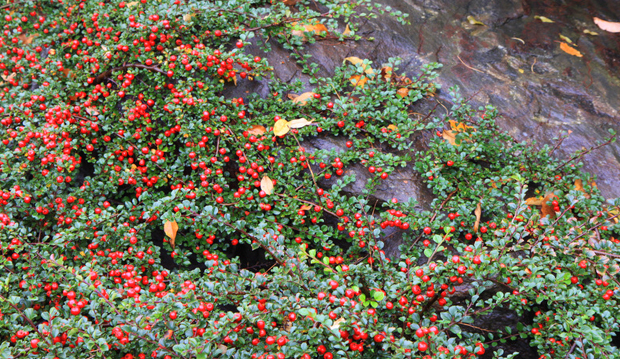 The cotoneaster across from the President’s Choice show garden are packed with a multitude of miniature apple-like fruit. These will persist into the winter and are always a wonderful sight when Mother Nature dusts them with some fresh snow. But let’s not rush winter just yet. 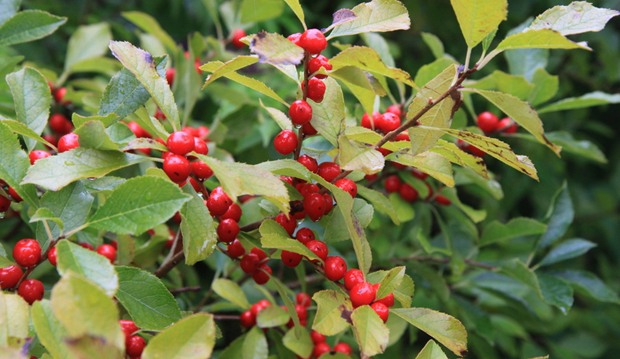 Be sure not to miss the deciduous holly bushes, Ilex in the President’s Choice show garden. 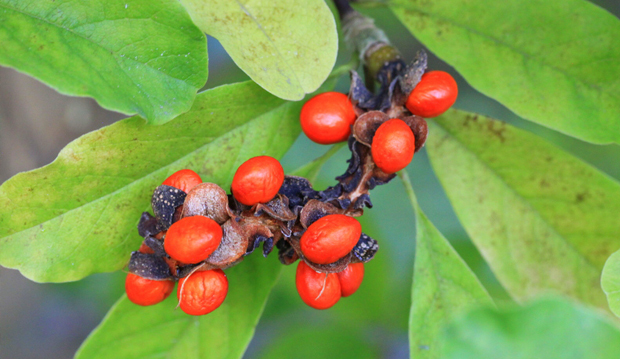 Below the glowing red berries are just poking through the changing foliage. 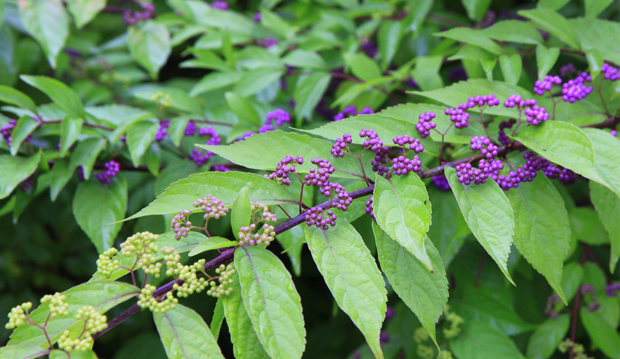 Perhaps one of the most asked about plants in the fall is the Beautyberry growing in the President’s Choice garden. The long arching stems of Callicarpa dichotoma ‘Early Amethyst’ are filled with clusters of green berries which are rapidly developing their unique, eye-catching fall purple shade. These, too, will persist into the early part of winter. There is no shortage of wonderful fall colour and rich texture throughout the TBG and Edward’s garden. 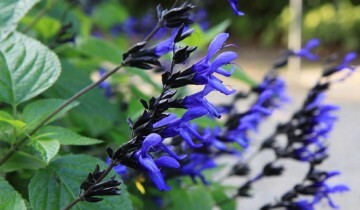 Many of the trees, shrubs, vines and various perennials are putting on a final show. Consider taking the new Fall Colours audio tour which celebrates the beauty of the fall season. The Fall Colours tour is wonderfully narrated by Liz Primeau. Audio tours are available free for members and $5 for non members in the shop from 10 a.m. to 4 p.m. every day but Friday which is 10 a.m. to 1 p.m.